Our team consists of active, purposeful and positive experts and professionals, who clearly know their own goals, goals of their team, and overall goals of the company. Employees of different generations and mentalities enrich our work environment. Our team includes Latvians, Lithuanians, Estonians, Russians and Ukrainians. 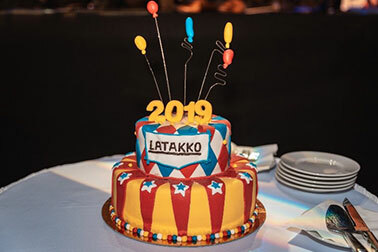 “Latakko” is proud of its employee career growth. We annually plan trainings and workshops, so that everyone could improve their knowledge and qualification, in accordance with their profession. Where and how to acquire information best? Directly from the manufacturer! Therefore, we annually organise experience exchange visits to our business partners in Italy, Spain, France, the Netherlands and China, during which our professionals can obtain important knowledge and then pass it on to colleagues, customers and cooperation partners. We are a dynamic, quickly developing company. We continuously seek for the most effective ways to progress. That brings wide opportunities for growth, involvement into different projects and opportunity to show initiative and proactivity to improve, perfect or change things. We provide an ergonomic an safe workplace, according to all work safety requirements, and world class technical equipment. We value the safety and comfort of our employees. The more professional our team is, the more satisfied or clients are. 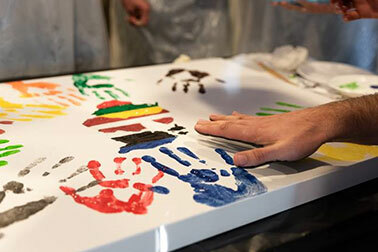 “Latakko” employees regularly organize and take part in trainings, workshops and conferences. We pay a lot of consideration our employees’ need for trainings and opportunities to develop their skills. “Latakko” highly value profesionality and loyality, therefore, we annualy acknowledge the best and long-term employees. The most valuable award is the President’s Prize for outstanding results, as well as the awards for 5, 10, 15 and 20 years of service for the company. We are glad to know that we can relax together in various entertainment events. Every year the company organizes the New Year’s Ball. We like to party, therefore we encourage different initiatives to celebrate, e.g., the 8th of March, St. Valentine’s Day, city festival. Our colleagues also take part in cooperatively organized Seasonal Birthday Parties, hikes, marathons. We are proud of different traditions, which, in a long time, have become fete for both employees and customers. 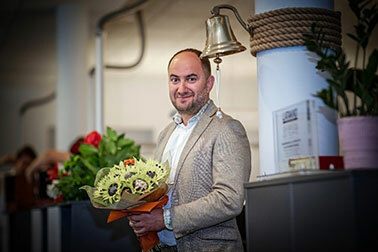 Our CEO’s birthday – every year in June Eugene Kopilkov celebrates his birthday together with colleagues. “Latakko” birthday – every year on the 4th of October all our team commemorates the company’s birthday in the festive celebrations. New Year’s Ball – another wonderful event, where we can meet our international colleagues in informal atmosphere. Awards for achievements and loyalty to the company are also given at the Ball.